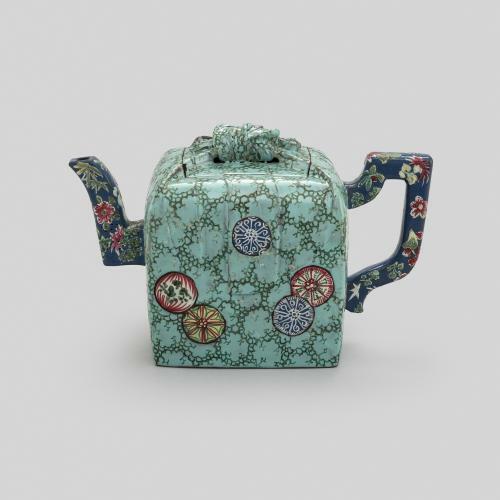 The first ‘official’ teapots are considered to be those made in the 16th century in Yixing in the Jiangsu province of China, about 120 miles northwest of Shanghai. This example was made ca.1700 for export to Europe and each of its five sides are decorated with dragons and clouds. The distinctive purple/red clay from which it is made, known as zisha, creates a pot with a fine texture and thin walls that can be left unglazed. 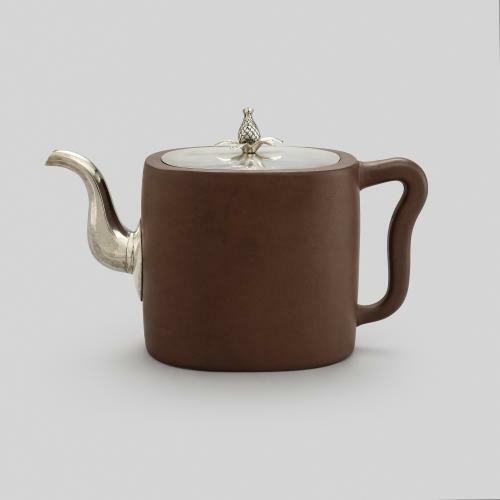 It is also ideal for brewing tea as it is porous and allows the colour, smell and flavour of the tea to absorb into the clay surface, developing a seasoning after repeated use. 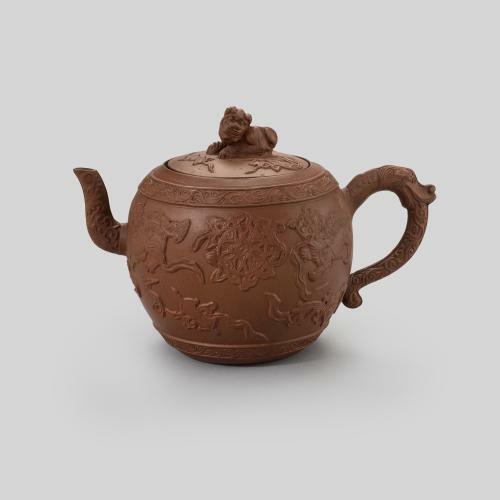 Yixing zisha stoneware was admired by the ruling classes and began to be exported to Europe in the late 17th century. This piece has metal mounts added in the Netherlands which feature a dragon on top of the finial and a cockerel on the spout. 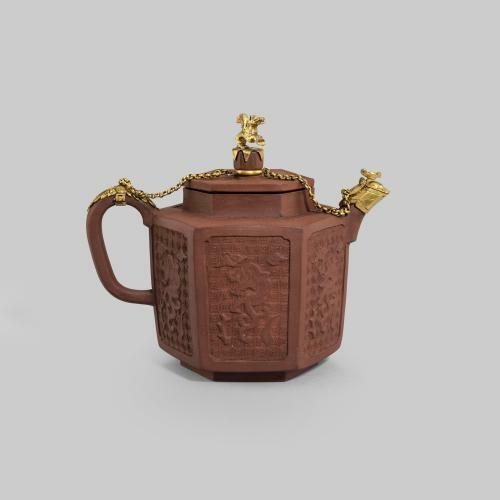 A Yixing teapot of this shape and form, and one with an overhandle, are illustrated in Nicolas de Blégny’s Le bon usage du thé, du caffé et du chocolat pour la préservation & pour la guérison des maladies, a book published in 1687 which describes the preparation of these exotic drinks for medicinal purposes.